Having a site struggle and crash under traffic load is a very uncomfortable problem. It's painful, in particular, for two reasons. The first is because it's extremely difficult and expensive to try and solve the problem in the moment. The second is because it could have been prevented entirely by running a few tests. Watch this session and learn how you can conduct realistic load tests on your site and avoid expensive downtime. Knowing just how much traffic your site can handle is invaluable. It doesn’t matter if you’re a publication about to drop a massive story, or a WooCommerce shop ramping up for a sale, having no clue how your site will do under elevated load can lead to server errors, annoyed visitors, and even lost revenue. 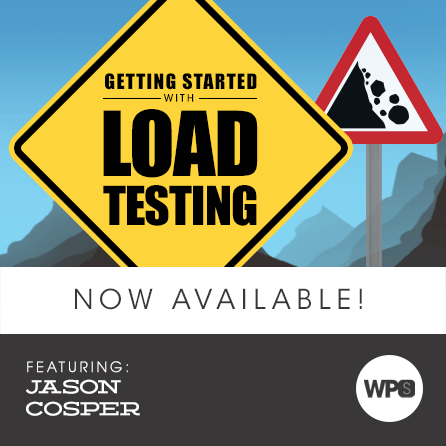 In this talk, we’ll cover some popular load testing methods and tools, and go over how you can work them into your development routine. We’ll also cover how to generate load tests that mimic realistic user traffic, how to automate running these tests against your site, and what to do after you realize things maybe aren’t as fast as you’d thought. Jason works at Liquid Web and is incredible at solving complex WordPress problems. You may also know him from such sensational work as Hipster Ipsum or his conservative and informative basketball tweets. Most likely, though, you know him for being a WordPress expert who spends his days shilling great plugins and general WordPress advice.